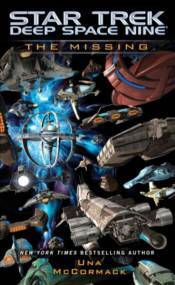 An original novel set in the universe of Star Trek: Deep Space Nine�a direct sequel to the New York Times bestselling story arc, The Fall! The entire sector is waiting to see what the newly reopened Bajoran wormhole will mean for the shifting political landscape in the Alpha Quadrant. On Deep Space 9, Captain Ro Laren is suddenly drawn into the affairs of the People of the Open Sky, who have come to the station in search of sanctuary. Despite the opposition of the station's security officer, Jefferson Blackmer, Ro Laren and Deep Space 9's new CMO, Doctor Beverly Crusher, offer the People aid. But when Dr. Crusher�s highly secure files are accessed without permission�the same files that hold the secrets of the Shedai, a race whose powerful but half-understood scientific secrets solved the Andorian catastrophe�the People seem the likeliest suspects. As tensions rise on the station, the science vessel Athene Donald arrives as part of its journey of exploration. The brainchild of Doctor Katherine Pulaski, this ship is crewed by different species from the Khitomer Accords and the Typhon Pact. Pulaski�s hope is that science will do what diplomacy has not: help the great powers put aside their hostilities and work together. But when the Athene Donald is summarily stopped in her voyage by the powerful vessel of a hitherto unknown species, Pulaski begins to wonder�will this first contact bring her crew together or tear them all apart? �, �, & � 2014 CBS Studios, Inc. STAR TREK and related marks are trademarks of CBS Studios, Inc. All Rights Reserved.